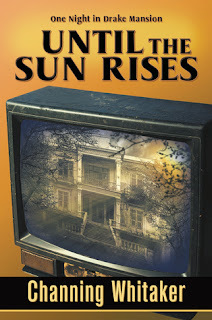 I am thrilled to have had the opportunity to interview Channing Whitaker, author of " Until the Sun Rises - One Night in Drake Mansion". What follows is that interview and a review of his wonderful book. I grew up in a rural Iowa town and went on to study cinema in college where I focused on screenwriting. Aside from writing my recent novel, I’ve written several screenplays, including a recently released feature, horror/mystery called “KILD TV,” as well as over 50 short comedy sketches. I’ve written both in prose and for the screen, but I believe I’ve always essentially wanted to be a storyteller. As a child I thought I wanted to make cartoons, but that was probably the most prevalent story form I was being exposed to at the time. As I got older my ambition changed to making movies and later to writing novels. With each incarnation the ambition always remained some form of storytelling. Now, I’m continuing to work as both a novelist and a screenwriter. I’m married, have a three-year-old son, and an energetic husky who joined our family while we lived in Alaska for nearly three years. Besides studying cinema and screenwriting in college, I also earned my degree in mathematics. Whenever I mention this, it seems to surprise a lot of people, as though they can’t imagine being able to balance both a creative field such as fiction writing with such a logical field as mathematics. For me the reality is quite the opposite. It takes a great deal of imagination to conceptualize abstract mathematics and to create new solutions to previously unsolved problems. Whereas writing fiction, especially in the mystery genre as my recent novel is, requires a good head for logic. The writer must introduce a series of facts throughout the story which support the story’s eventual conclusion. If the story logic doesn’t hold up, the mystery falls apart. Additionally, people are usually surprised by the fact I am dyslexic. Dyslexia admittedly impairs my ability to write in the purely technical and grammatical sense, and I think a lot of non-writers think it would be prohibitive. However, dyslexia doesn’t affect the ability to invent and compose the details of a story, thus it really isn’t prohibitive for writing fiction, it just means I need an eagle-eyed grammar editor before anything I write goes to print. Tell us about your writing routine or habits. I used to be very disciplined in setting the number of hours a day I expected myself to write and sticking to it. However, now with a novel published and a feature film out trying to build an audience, I’m learning there are a great number of writing related demands, each calling for my time, which aren’t the actual writing. In one sense, it’s great readers who are interested in what I have to say, in interviewing me, hearing my blogged thoughts on other subjects, and in meeting me in person at signings, but it does make sticking to a strict writing schedule more difficult. Aside from time management, in story management I’m a dedicated outliner. I’ve read and have spoken with other authors who find outlining stories too constraining, but I find it quite helpful to lay out a road map for a story. The danger I suppose is once you start writing, if your characters and the situation seem to be flowing in a different direction than your outline, then sticking with the outline can make the story seem forced. To avoid it, you have to be willing to throw the outline out if you come to such a crossroads, like re-routing around a road closure. I outline before writing, but by the time the story is finished, I’ve probably rewritten the outline ten times along the way. What impact has writing had on your life? For me, developing my storytelling skills, my creativity, and my methods for flushing out a story or character has really changed the way I think about everything. Things which happen to me in life are now seen through the lens of potential plot points. When I meet people, I imagine what life events have shaped them bringing them to this moment. It’s good because when I get a flat tire I can shake off the stress by inventing a story around the event, and who knows, maybe I’ll use it in a book some day. On the other hand, it probably makes it more likely my mind will wander in less stimulating life moments, which I’ll admit isn’t ideal for the people around me. Tell us about your latest work and what motivated you to write it. 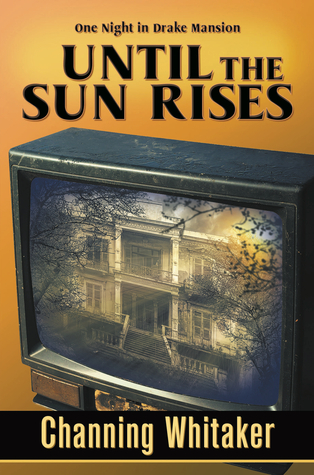 My recent novel is called Until the Sun Rises - One Night in Drake Mansion. In the novel, there are 7 of 21 chapters which take place 80 years in the past, taken from one character’s journal. In the first of those past chapters, there is a very creepy, dark, midnight magic show which sets up an important element of the mystery. This magic show scene was actually the very first seed of this story I had. I really enjoyed how visceral and eerie it was and wanted to use it in a larger story. What would become the entire novel really grew from taking the scene and building a story and characters around it, to make it significant with heightened tension. This being said, once I had created the scenario of investigating a supposedly haunted house, which is part of the larger story, then having also added a paranormal skeptic into the situation, the story became much more personal to me. I tried to think of other stories which flirted with the paranormal and had skeptic characters and found in most cases the skeptic is present simply to be proven wrong. It then became an objective in my story to give the skeptic character strength, as well as true and balanced presence in the story, not to make him an unwitting fool. I believe I did so, and in the process created not only a very satisfying story, but one much more interesting and complex than simple ghosts chasing people around, as one might expect from a haunted house story. And, in the process, also one truly unique in its handling of the paranormal-skeptic aspect. I’ve written in several genres including comedy, drama, horror, science fiction, and mystery. I’m really a believer in creating stories I would want to read or watch myself. So in this case, I didn’t pick the genre per se. I had an idea for a story, flushed it out into something I personally would enjoy reading, and it just so happened to be a mystery. What is the single most useful thing you have learned and how has it helped you as a writer. My father is a retired psychology professor who also saw clients one day a week throughout his career. Though he wasn’t a writer, I feel he has influenced my writing style as much as anything. I learned a great deal about people, behaviors, and motives from him, and while I don’t have an advanced degree in psychology, I believe I absorbed a fascination with personality and a way to think about personality critically. As a result I psychoanalyze all the characters I create, making them nuanced, complicated, and particularly lifelike. Additionally, as a clinician my father at times dealt with what society would fairly unanimously consider bad people, but as an instructor he would teach one had to find good attributes and common ground with this type of patient. If you only sat in judgment you couldn’t expect to help treat the patient, thus a therapist had to find good, find humanity, even just a little bit, in some of the worst people. This notion stuck with me in my writing in terms of good and bad characters. Often in stories you need truly bad people for antagonists but in life, even an outwardly evil appearing person would likely have some redeeming attributes, and granting your antagonists some small likable qualities makes them all the more believable. Similarly protagonists, no matter how heroic, are far more lifelike if they’re granted flaws by their creators. These notions influence every character I create. What are the most challenging and most rewarding aspects of writing? For me, up until my first novel was recently published, the wherewithal to keep inching forward without recognition was the most challenging part. Most of us have heard stories of acclaimed authors who endured hundreds of rejection letters before finally getting their big break. That one “yes,” and the rest is history. But there is truth to this anecdote. Writing is a long process, and I don’t believe many of us are born exceptional at it. We have to get better, and the only way to improve is by writing and writing. Unfortunately, there aren’t many small victories between being unknown and being published. Once more, even when you’ve truly written something good, there is still a lot of work to be done in finding the audience for the piece. It’s easy for me to imagine aspiring writers falling victim to the prolonged discouragement which almost inevitably comes before the success. On the other hand, nothing is more rewarding than the connection my work can have with readers. Of course many readers compliment the journey the primary story takes them on, but I’ve had moments where someone who has read my novel contacts me to say how some small attribute of the book really connected with them personally, likely due to some real life experience they’ve had. To me, the detail which struck them might have been completely tangential to the focus of the book. They’re thinking of it in a way I hadn’t even considered, or focusing on something much less relevant than my original intention. Yet, it tells me not only have I constructed a pretty good main story, I’ve done such a good job paying attention to all the smallest details of the story and characters - every nook and cranny of the material is believable. Readers connecting with my material in such a way is unbeatable. Since I’ve been out promoting my novel, I have met a number of people who either have an idea for a book or are aspiring writers. If I can only impart one notion to them, it is to be prepared for the sheer amount of labor writing takes. In this sense, I don’t think writing a novel is too different than acting in movies or playing professional sports. When you see an actor on a movie screen for two hours, and think you’d like to do that, you should understand they spent hundreds of hours shooting, and hundreds more preparing for the role before it was whittled down to the finished product. For every hour a pro athlete spends on the field in front of the TV cameras, how many hours did they have to spend honing their skills off camera? When you read a great book and think you want to create something similar, you should know the 10 or so hours of reading you just enjoyed likely took the writer a couple thousand hours to shape. At the moment I’m working on a follow up to Until the Sun Rises - One Night in Drake Mansion, which will take two of the characters from the first novel into a new mystery. I haven’t settled on the title yet, but rather than being primarily set in Iowa as the first novel, it will be set in Alaska, and rather than a mystery surrounding a supposedly haunted house, as the first, the new novel’s mystery will have a cryptid animal theme. I can be contacted through my website, www.channingwhitaker.com, as well as through my Facebook page www.facebook.com/authorchanningwhitaker. A wealthy family disappears after they visit a traveling magician. For years people keep dying in the house. Finally it is boarded up. You know that if the story ended here it would be boring. That is one thing this author is not. Let’s bring in a game show where 5 contestants have to spend the night in the house for a chance to win a million dollars. We’ve all seen shows that have some twisted plot like this. Notice I said some twisted plot. This isn’t a typical ghost story where the evil entity wipes almost everyone out. The mystery that starts the story is nicely wrapped up. Another unique factor was the author’s inclusion of journal entries. The characters and the setting are well developed. There is something that will grab hold of every reader and keep them reading until the end and then leave them wanting more. I know for a fact that I will definitely be looking for more from this author.